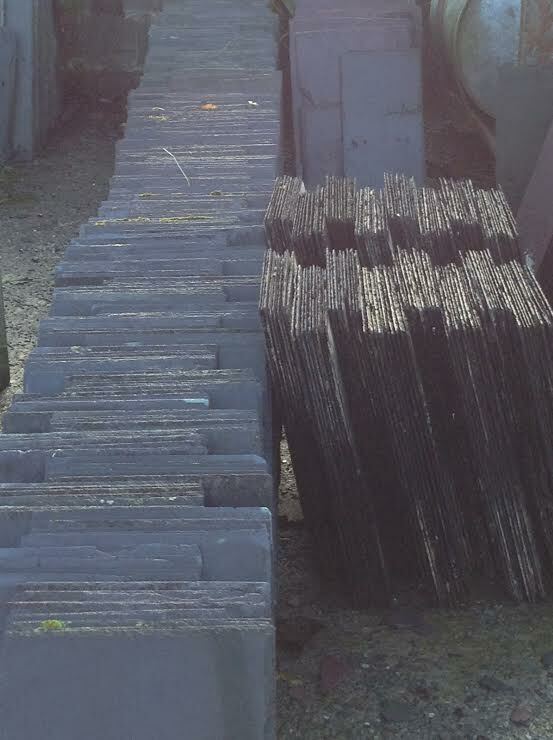 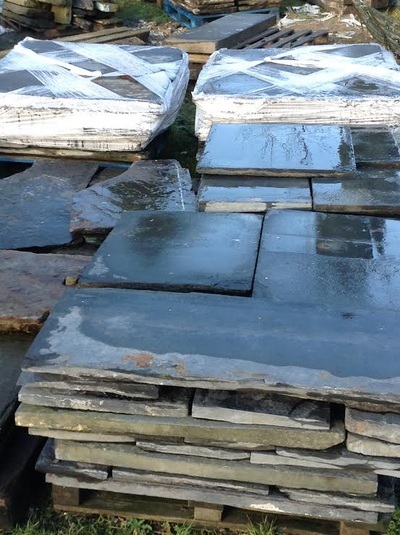 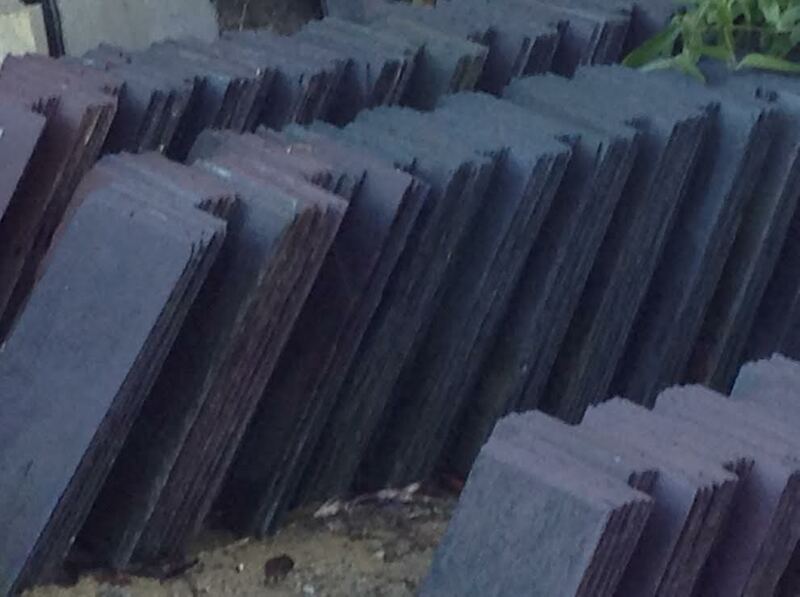 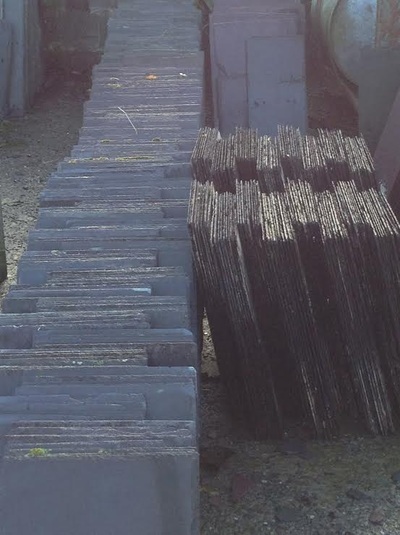 We stock a large supply of reclaimed welsh slate products which have been sourced from throughout Wales and the UK. 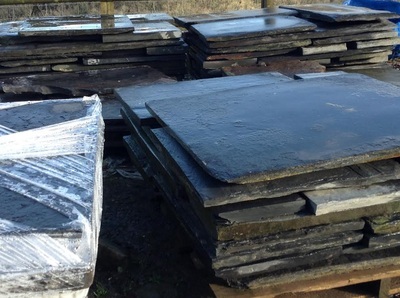 We are proud to have supplied our reclaimed welsh slate for projects undertaken by CADW and The National Trust. 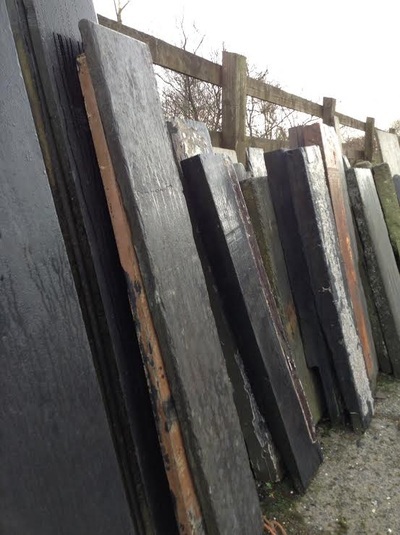 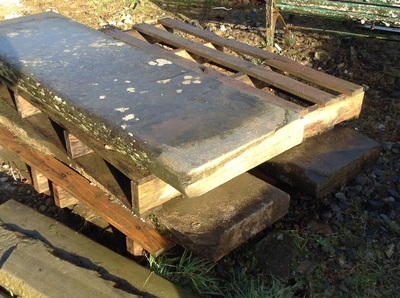 Many of our welsh slate slabs have been reclaimed locally from traditional welsh property’s. 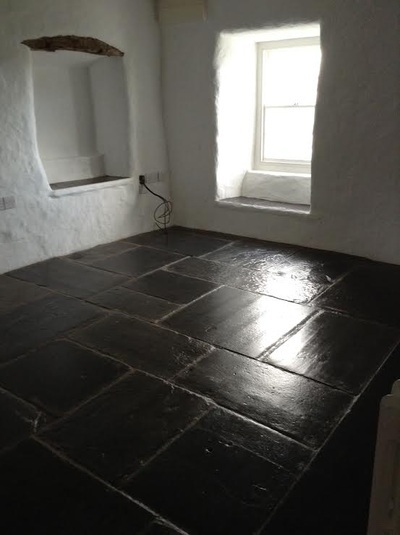 Welsh slate has been used extensively as a flooring material both internally and externally for over two hundred years. 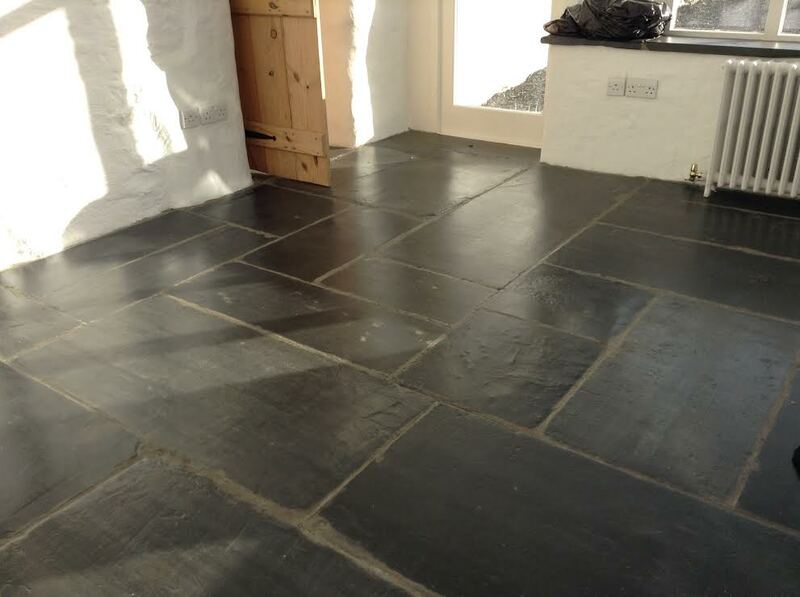 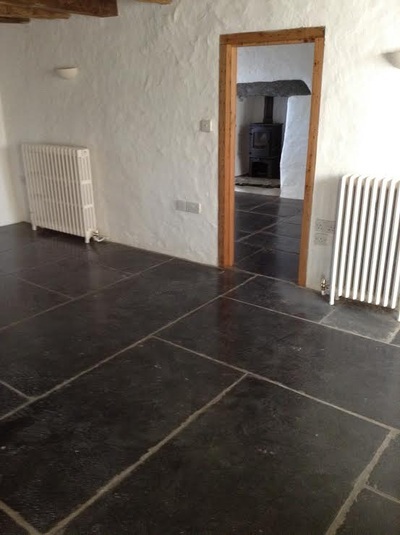 Reclaimed Welsh slate creates a charming flooring choice for a hallway, foyer or kitchen. 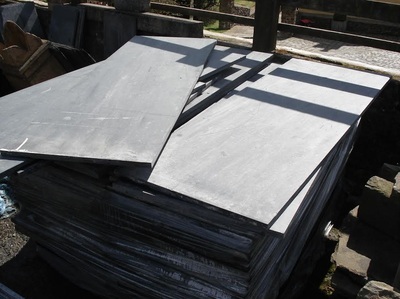 It is not only extremely resilient but also easy to maintain. We provide a slate cutting service for products purchased which may require adjustment. 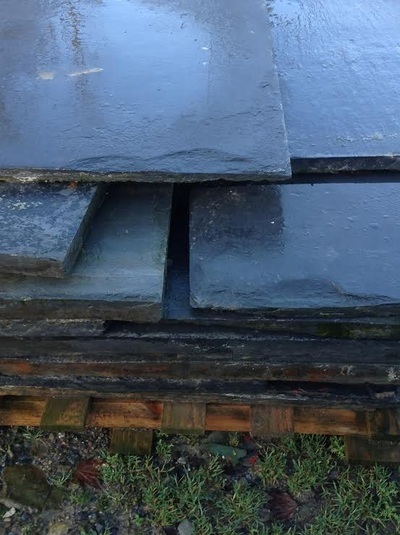 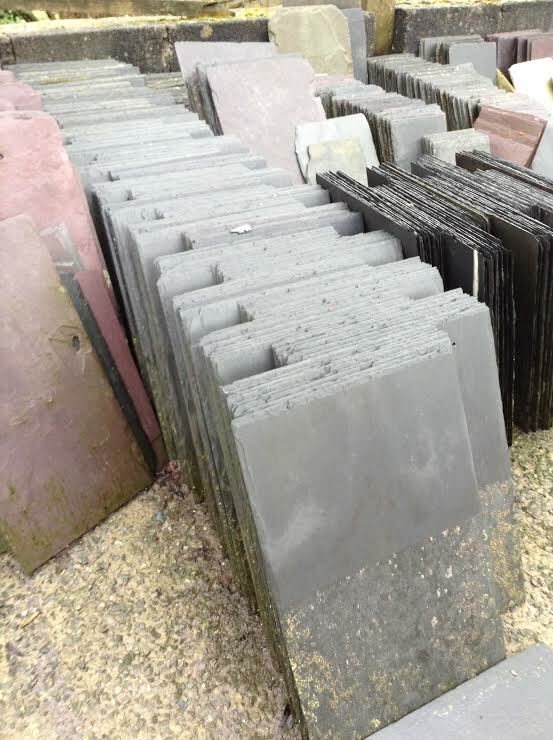 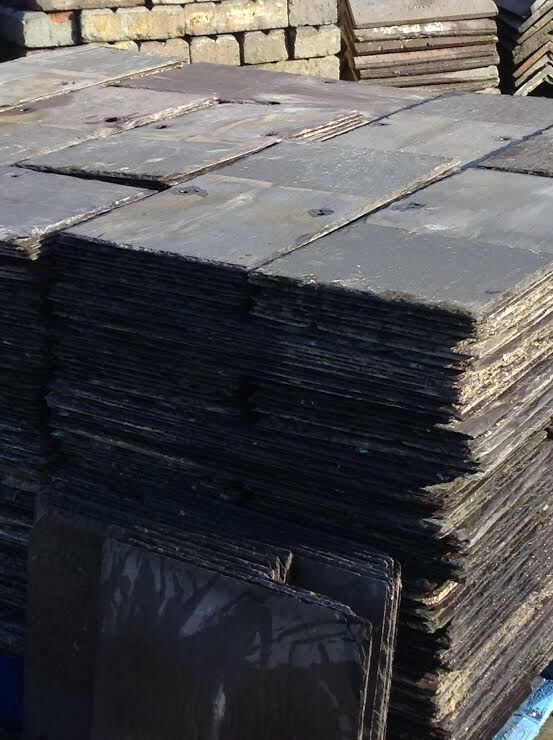 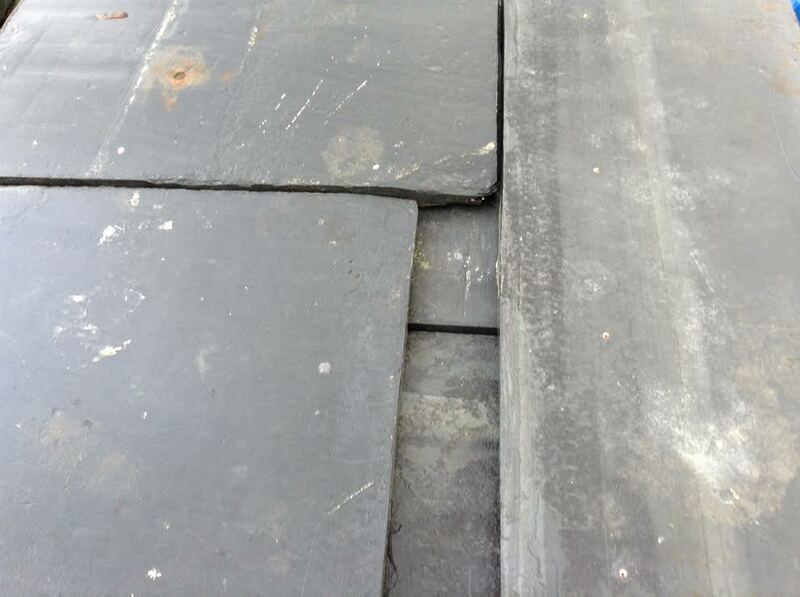 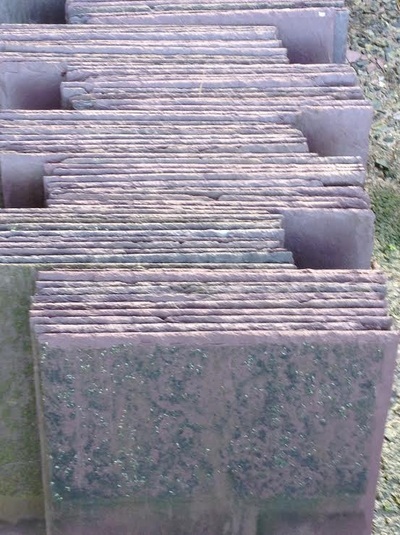 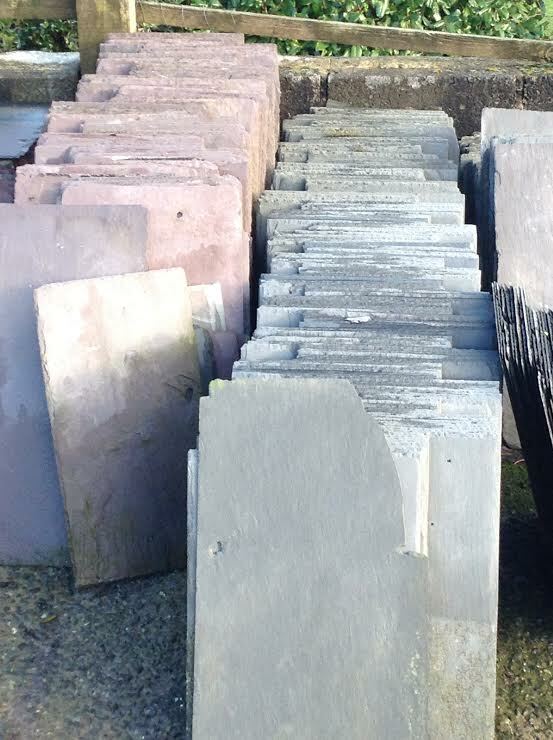 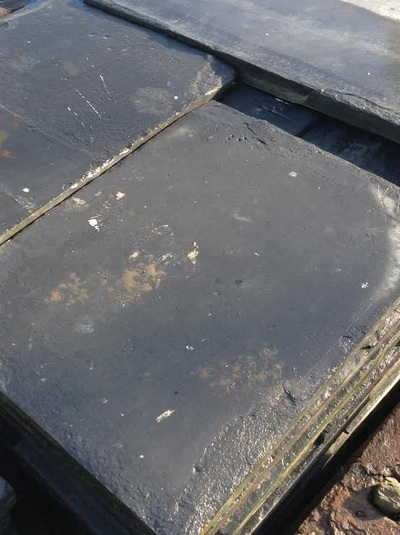 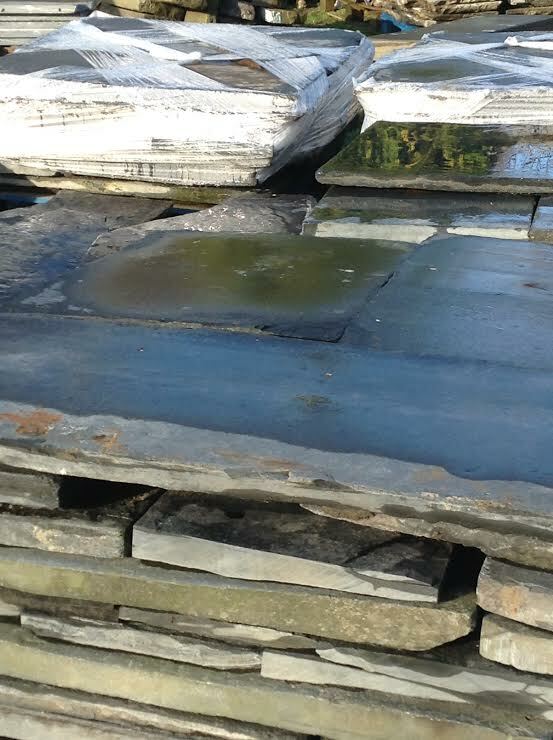 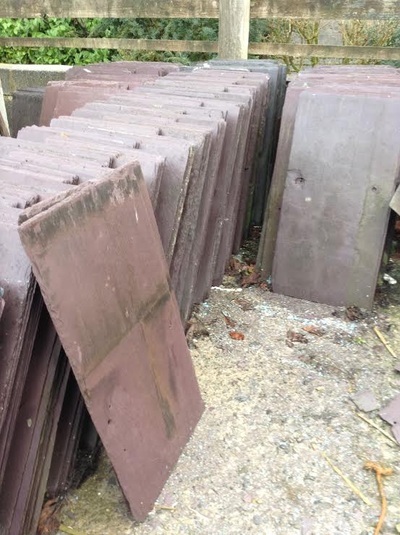 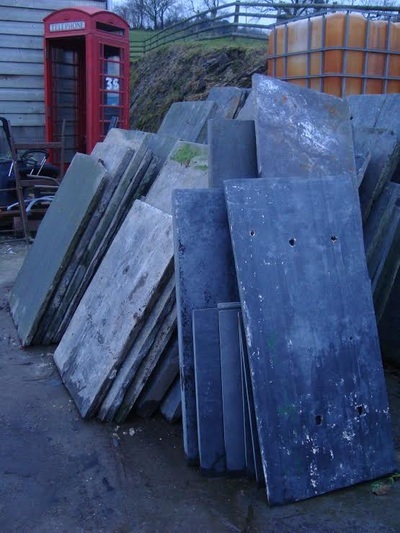 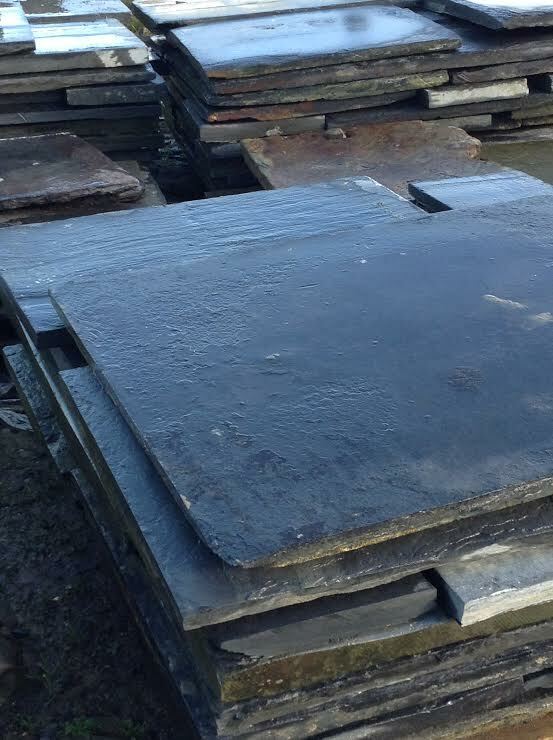 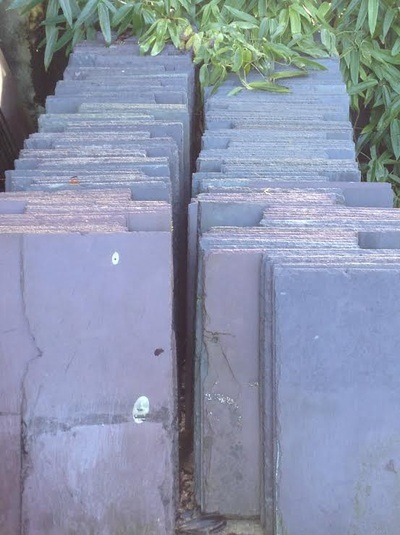 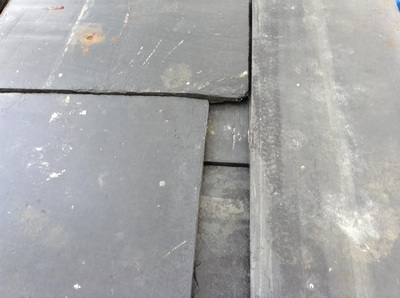 We keep a wide range of reclaimed welsh roof slates in a variety of sizes, colours and thickness. 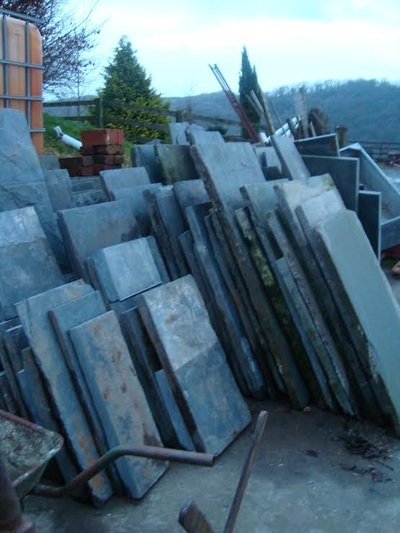 Stocks are sourced from Wales and throughout the United Kingdom. 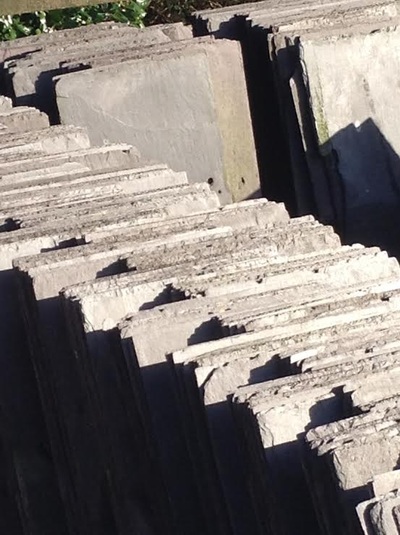 Whether you require a few slates to carry out repairs or you’re looking for a large quantity for a substantial project we will do our best to meet your individual needs. 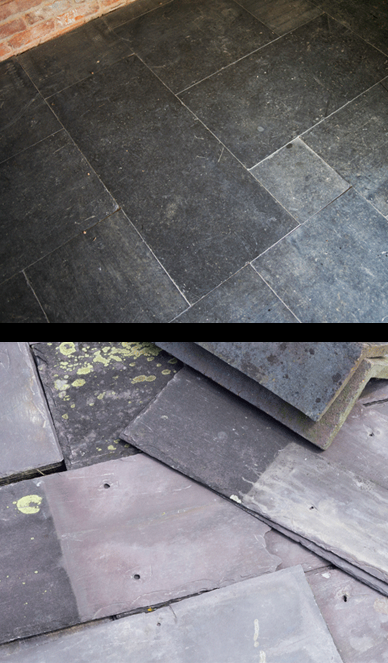 Please click on any of the images below to launch the Reclaimed Welsh Slate gallery.